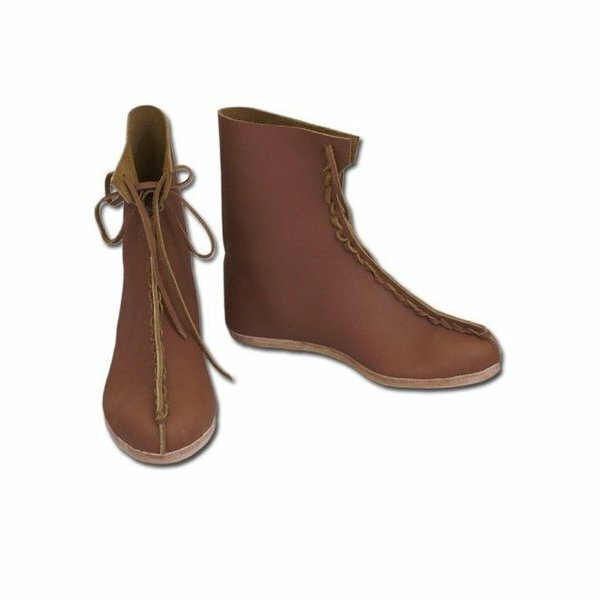 This is a reconstruction of a pair of Roman boots from Vindolanda, Chesterholm, North England from the 3rdto 4thcentury AD. They were mainly worn by the auxiliae. This pair of boots is also suitable for re-enacting early Germanic people. The shoes are made of 2 mm thick cowhide and the soles have a thickness of 10 mm. They are available in the sizes 40,5; 42; 43 and 46.